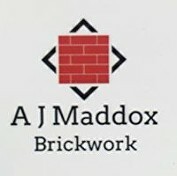 A J Maddox Brickwork - Builder based in Shrewsbury, Shropshire. A J Maddox Brickwork has over 12 years of experience in the building trade, specialising in all aspects of bricklaying . We have worked on various projects ranging from garden walls to building houses. We pride ourselves on offering a professional service and delivering quality and reliability to our customers at all times. We will complete all types of building work to the highest standard, spending time with you to ensure that you are continuously in the driving seat throughout your project. A J Maddox Brickwork manages every project, with direct and clear communication prioritised with each customer for their bespoke needs. We will guide you through your project, handling each phase from start to finish.